I can’t stress enough how much I loved this place. It has a super relaxed, mellow atmosphere that really helps make traveling a lot easier when faced with uncontrollable situations. Very close to the bus station & the town center. The staff was so cool- glad we got to hangout with them. And of course the BOULDER WALL. Need I say more? All in all- would recommend and would definitely come back to this hostel in the future. Thank you!!! Nicest staff ever, best hostel breakfast ever! Overall this hostel was really nice to stay at, there was a friendly atmosphere and it was social. They provided a basic breakfast of eggs and bread which was fine. They had luggage storage for free which was great as we were there to do the w trek. Rooms were clean but cold, would have been nice to have a small heater in the rooms. The bathrooms were ok but they need to be cleaned everyday and not just once a week. Hot showers was nice. Worth staying for a couple nights. Awesome people, very friendly atmosphere. Definitely a younger crowd, but we’re 27 and 31 and totally enjoyed it. 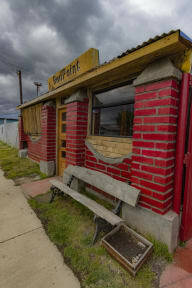 The best thing about Red Point is the location, because it’s less than a 10 minute walk to the bus station. The vibe was super chill and the staff was so kind— they made us eggs and toast every morning and even made sure to get up early before we hiked to Torres del Paine to make sure we got breakfast. The kitchen is big, the showers had hot water and the WiFi is fast, it probably could have been a little cleaner but overall I really enjoyed our stay! Very cool climber oriented hostel! Very rustic and super basic but the staff was incredibly helpful and generous! Probably our best hostel so far for meeting people/socializing. Staff were awesome. I booked for 5 nights but left after the first one. The room they put me in was right next to the climbing wall and didn't have a lock on it so people kept opening my door thinking it was a bathroom, which made me feel very uncomfortable. I wanted to pay extra for the privacy of a private room, not to have people walk in on me changing or sleeping. I expressed this to the staff, who were very nice and receptive. I hope they put a lock on the door! Besides that, cool atmosphere and nice staff. Building is very run down and some areas under construction. Dorms in main building not heated. Saw sheets not get changed, just shaken. Staff nice but when I came back from my trek at 4:30pm I had to search the entire building, walking into every room, to hunt down whoever was on duty. This was annoying and concerning for security reasons. They seem unorganized and moved 2 people's stuff from 1 dorm into mine while they were out, causing confusion and disruption at 10:45pm. Not a quiet hostel. I thought this place was totally run down and uncomfortable. I ordered a private room as it was close to the bus station, I paid 28,000 cp - ended up leaving after an hour and checking into hotel. 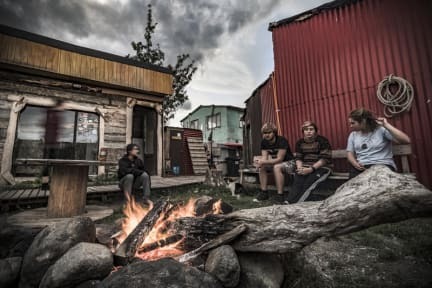 I’m sure the place is fine if you are on a very tight budget but I stayed in much nicer places in Puerto Natales for a lower price. I will note the staff were friendly.